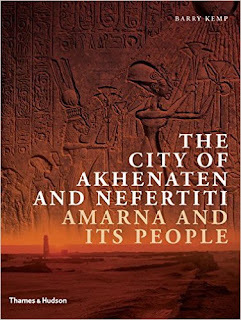 A companion to Abydos in the New Aspects of Antiquity series, this book a remarkable evocation of an ancient city brings together for the first time the history of the site of Tell el-Amarna from its foundation by the pharaoh Akhenaten in c . 1344 bc to its abandonment just 16 or 17 years later, a few years after his death. Nine chapters cover the kings choice of the site and its development, the layout of the city and its buildings, and puts it in the context of the society of the time. Over 260 illustrations, some 50 in colour, bring to life the remains and artefacts found at the site during its excavation. 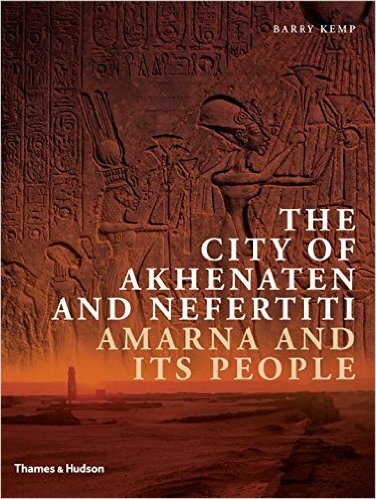 Barry Kemp, Emeritus Professor of Egyptology at Cambridge University, is a world-class scholar and writer and the acknowledged expert on Amarna and Akhenaten. This is certain to become the definitive work. Estela de falsa puerta, degenerada.